Measurements: 30mm round X 4mm high. Characteristics: The back is flat and the front is has a low dome. 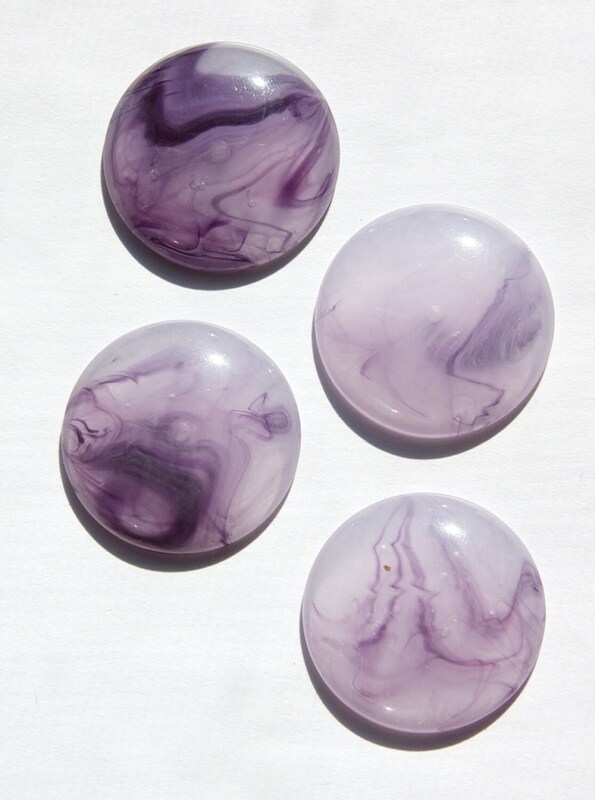 Color: Light Purple with Dark Purple Marbling or Swirls. Additional Information: These are semi-translucent. The amount of dark purple is random and varies from cab to cab. I tried to show this in the picture. love this great Etsy shop!